Prevention What Else Could It Be? 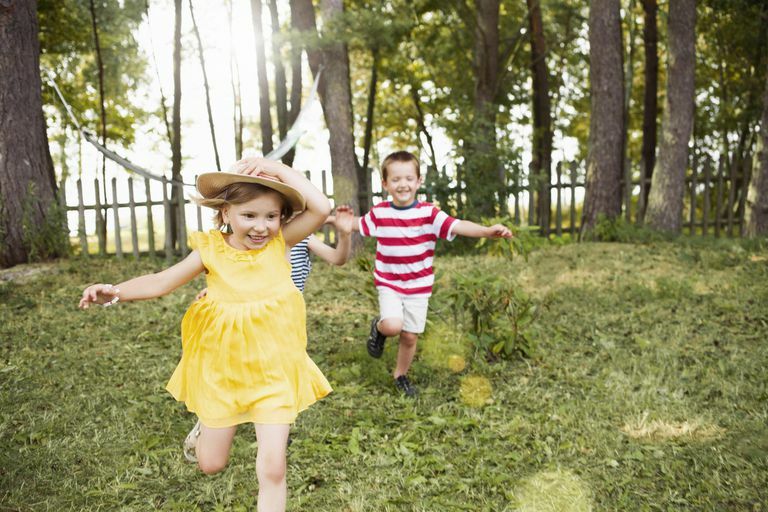 Although having a heat rash is common, it is likely not as common as many parents believe, who tend to call any red rash their kids have when it is hot outside a heat rash. Learning to distinguish heat rash from other common skin rashes (see below) can be helpful so that you can properly treat and prevent this common rash. As the name implies, heat rash is triggered in certain children when they become overheated, either because they are overdressed or because it is simply too hot outside. As they become hot and sweat, their sweat ducts become blocked and rupture. It is most common in babies and young children. Miliaria Rubra - Prickly Heat: Prickly heat or miliaria rubra is the most common type of heat rash, being found in 4% of newborns, and up to 30% of children at some time. In this form of heat rash, the sweat duct becomes red and inflamed and may cause a 'prickling' or stinging sensation. This type of heat rash may also cause mild itching. The inflamed sweat ducts look like small bumps with a red halo around them and can usually be found grouped together under a child's clothing and inside the folds of his skin, such as his neck, armpits, and groin. Infants who wear a hat may also get a heat rash on their forehead and scalp. Miliaria Crystallina: Just like prickly heat, this type of heat rash occurs when the sweat ducts become blocked and rupture. These sweat ducts are closer to the skin surface though and don't get inflamed, leading to the classic appearance of small clear vesicles on the child's skin, without any redness or other symptoms, typically on their neck, head, or upper chest. It is most common in the first week or two of life and affects up to 10% of babies. Miliaria Profunda: Miliaria profunda is the term that is used to describe a slightly deeper heat rash. It is usually seen in children who have recurrent heat rashes which affect the next layer down in the skin (the dermis.) The bumps with miliaria profunda often feel harder than those in a simple heat rash. Miliaria Pustulosa - Infected Heat Rash: Miliaria pustulosa is the name that pediatricians give to a heat rash that gets infected. When an infection occurs in addition to a heat rash, the bumps may become surrounded by a red area and drain a yellowish pus (the term pustules refers to these pus containing vesicles that can resemble chickenpox.) Children may also develop a fever. Removing the child from the triggering environment, such as dressing in less clothing and moving inside to a cooler, air-conditioned environment. This is usually the only treatment that is needed, though the rash may linger for some time. Mild strength topical steroids, although these usually aren't needed. Calamine lotion if your child seems bothered by the itching after cooling down. Compresses with tepid (room temperature) to slightly cool water. Avoid very cold water as this is not helpful, but can be very uncomfortable. Antibiotics for secondary infections as occurs in miliaria pustulosa. Call your doctor if you note any signs that might suggest an infection. Dressing your child in weather appropriate, loose-fitting clothing, so that he doesn't get overheated. The rule of thumb (that's easy to forget as parents as you want to protect your child from the elements) is to dress your child just as you would dress yourself for the weather. Avoiding excessive heat and humidity when possible. Avoiding occlusive ointments, including moisturizers, or oil based products on a child's skin, which can also block the sweat ducts. Folliculitis is a rash that is often confused with prickly heat. Folliculitis is a bacterial infection of the skin that appears as small yellowish vesicles and involves the hair follicles rather than the sweat glands. Impetigo is a rash that often develops in creases and folds of skin where the skin can rub against itself. These rashes may also occur with exposure to excessive heat but are caused instead by a fungal infection of the skin. Learn about other rashes which can affect your children as well, such as impetigo, eczema, and poison ivy. Behrman: Nelson Textbook of Pediatrics, 17th ed., 2004 Saunders, An Imprint of Elsevier. Habif: Clinical Dermatology, 4th ed., 2004 Mosby, Inc.
Miller, J. Miliaria. UpToDate. Updated 08/25/15.